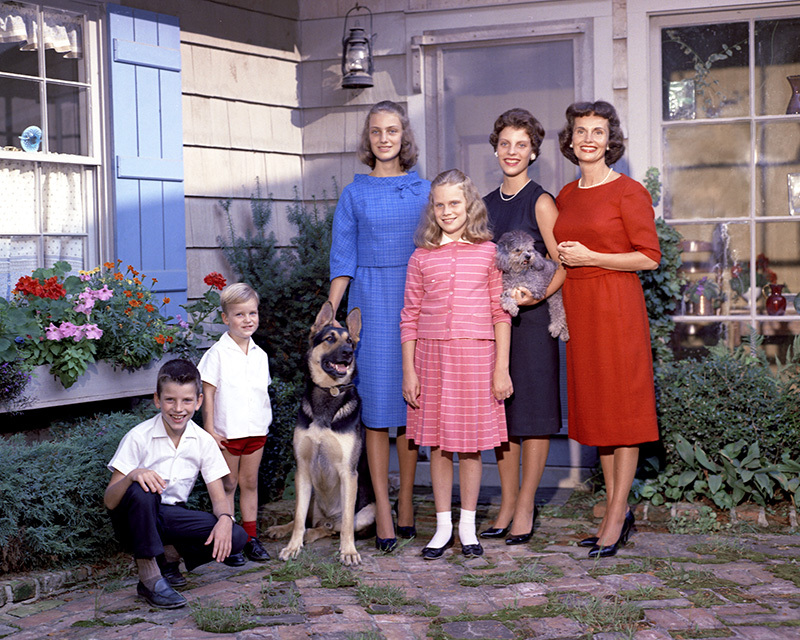 As Mother’s Day approaches, we take a look at a poem written by Ruth Bell Graham on motherhood, as well as reflections from Franklin Graham on his mother. “I’ll never forget the first time my mother heard me preach. Standing at the podium and seeing her in the shadows, I realized just how much that moment represented an answer to her faithful prayers. To follow in my father’s footsteps, I had to go through my mother’s knee prints. Thank you for this wonderful poem! Ruth Bell Graham is such an inspiration to all of us as mothers. God bless her memory! Oh how wonderful, supportive and strong your mother was. She so selflessly shared your father and family with us sinners so that we may be saved through Dr Graham’s evangelism. Thank you for your mother and father and may God bless them both and your whole family for the sacrifices you have all made. It has saved so many. Peace be with you and God bless you all. How very lovely of a poem. Miss Ruth was wise beyond her years, a beautiful woman of God, faithful wife, and delightful mother. Thank you so much for making this poem available. My mother went to be with Our Lord Jesus in heaven in 1986. I am now 72 and still miss my mom. Wonderful mother, precious memories, loving and merciful God. Mothers who know where their help and their childrens’ help comes from, are the greatest gift a kid could ever have! Mom has been gone now about two years, at ninety seven years of age. Her son (me) has been endeavoring to follow JESUS for over forty six years. I am sure there will be a glorious reunion in Heaven one sweet day! Thank God for a praying mother! Thank God for women like Ruth Graham who prayed and set an example for us to follow Jesus. Thank you for sharing this encouraging poem. I too have 5 children and praise God they are all grown and serving Him. I am truly celebrating this Mother’s Day, so grateful for God’s amazing grace to me.and my family. 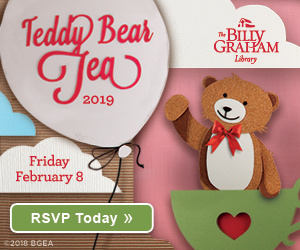 I have followed Billy Graham’s ministry since I was a young child and am so glad to be able to continue seeing and experiencing the richness of the family legacy today. I’ve always wanted to visit the Library. Now more than ever. I plan a trip for later this year. This is a beautiful tribute to Ruth. She was a wonderful wife and mother as well as spiritual leader. I’ve been reading Billy Graham’s autobiography, “Just As I Am” and am deeply moved at the sacrifices Ruth made while Billy was away. I’m truly blessed to have had this insight on the family. Wish I could read poem. Print so small, and no way to enlarge.? I love your Mom’s poems, reading them on the back of your Decision Magazine as I receive it each month. I love the poems from Ruth’s attic, wonderful woman. A beautiful poem! So true, and from a Christian wife and mother that did a wonderful job on both. I pray that more families have a mother like her. Her love, devotion and patience is an example to all mothers. We are so blessed by her legacy. I’m so thankful to the Lord for this family’s example and genuine faithfulness. I love the Graham family. Had I been as talented, I could have claimed these words for myself. How fortunate for us that Ruth Graham was able to express herself and leave us this legacy. I’m sure it touched other hearts, as it did mine. Thank you! Our children never outgrow their need for a mother’s prayer. As long as I have life on this earth, prayers for my long grown “five” will continue. Tonight I am adding Ruth Bell Graham’s prayers from her heart for her “five” to my own. God Bless her family who remember with love and appreciation their mother’s prayers that have shaped them into the remarkable people they have grown to be. I feel like I’ve gotten to know Ruth Graham from her poem’s… I always look forward to them… PTL!!! 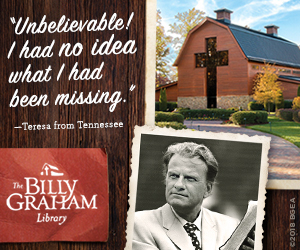 I have followed Billy and Ruth Graham during all their ministry. prayers. I still have all the Christmas cards and books Billy wrote. I thank our Lord for them. I miss them. being a “mother” is an awesome responsibility….May the Lord perfect me, His daughter, so I may lead my children to walk in God’s perfect will. 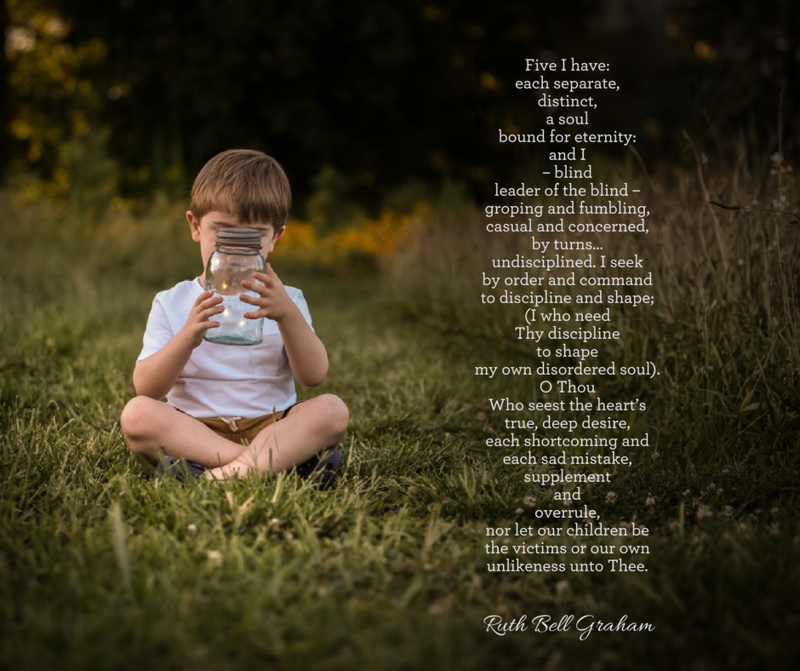 This is what I understand was Ruth Graham’s prayer for her children. What a blessing she was and is! I am a Discipleship Coach with BGEA! What a great ministry and I love working with the precious souls God has entrusted me with. Your mother was a beautiful song that your father listened to endlessly. They were the greatest couple to me. Such a wonderful mother and teacher for you Franklin and all your siblings! And for us mothers too. God bless you and your wonderful family Franklin!! I love this poem. Ruth Graham had a heart that belonged to the lord. It is quite evident in her poem. An awesome and attentive woman of God that knows her family, and didn’t mind sharing them with the world after the shaping instructions from God. God bless you and your whole family. Your dad Billy Graham save me when I was 15 years old. I’m now going to be 60 in a couple weeks. No words can express the gratitude and thankfulness of my heart. You guys are my Guiding Light. 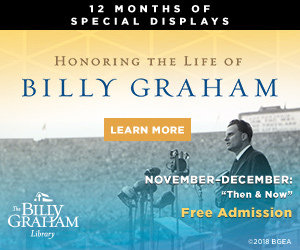 Ruth Bell Graham was a woman who loved the Lord & Billy Graham! She was a child of God, wife, mother, & grandmother….she was a blessing! 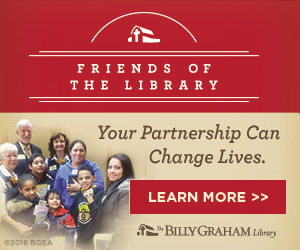 I have followed Billy Graham for many years, and have read some of his books and articles. A few months ago, although I was raised in the first baptists church of Philadelphia Ms., I rededicated my life to Christ again watching one of his programs on TV. I am a 75 year old male, living with Alzheimer’s in a memory care facility and dealing with a wife who treats me like a 10 year old child. Thanks for your prayers over the coming months. Thank you so much for continuing in your father’s footsteps, and carrying the message of Jesus Christ. Hello pastor, thanks for curling out mum Ruth’s lovely poem. I’m from Nigeria. I have one lovely friend over here whose life was equally impacted positively by BGEA. We call each other BILLYCHILD. I was an ardent listener of the Hour of Decision radio broadcast in the 80s and 90s. Please keep the good work on, we are praying for the entire team over here.